More than 70 top executives in State-owned enterprises were placed under investigation last year amid a nationwide campaign to crack down on corruption, according to a recent survey by the website of People's Daily. SOEs in the energy and resources sector are the most prone to corruption, and nearly 20 executives in such companies were charged with corruption last year, followed by companies in the finance, media and telecommunication sectors, according to the survey. Song Lin, former chairman and Party chief of China Resources, was brought down last April. 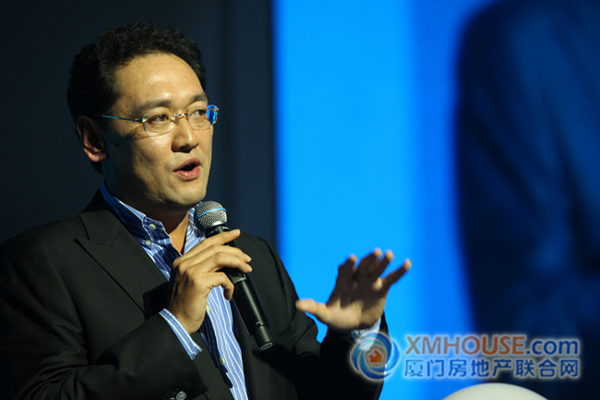 In 2012, Song was listed as one of the "50 Most Influential Business Leaders" by Fortune. Song came under investigation over the acquisition of Jinye Corp, in Shanxi province, which resulted in the loss of State-owned assets worth 1 billion yuan ($160.9 million). He was dismissed from his position for "serious violations of party discipline and laws". Seven other top executives in the company were also investigated, including Wang Yujun, president of China Resources Power Holdings Co.
Sun Zhaoxue, former general manager of China's top aluminum producer, was investigated for allegedly accepting bribes. The Central Commission for Discipline Inspection found that Sun took advantage of his post to seek profit for others, asked for and accepted "a huge amount in bribes" and committed adultery. China National Petroleum Corporation, China's largest oil and gas producer and supplier, was hit hard in the anti-corruption campaign. Wang Lixin, head of the company's disciplinary department, was investigated last December and two former top executives were also held for investigation shortly after Wang was held. In the financial sector, 13 officials and executives were suspected of being involved in corruption. Li Chengyan, a professor of anti-corruption studies at Peking University, said executives in the financial sector have the power to distribute huge amounts of money without being subject to any effective supervisory mechanism. In the media sector, eight TV producers and anchors in the economic news department at China Central Television were arrested from May to July. Nine heads of other media organizations were also arrested last year. Guo Zhenxi, head of the financial channel at CCTV was charged with taking bribes worth 2 billion yuan in eight years while he was serving as a producer in the economic news department. Lu Gaofeng, a professor of communication at the University of Science and Engineering in Zhejiang, said Guo misused his power with two TV programs, one to expose the misbehavior of companies and another to issue rewards for annual economic figures. He used the programs to extort money from companies with illegal operations and solicit money from companies seeking positive reports on the TV program. Yan Jirong, a professor at Peking University's School of Government, said the corruption cases that have kept cropping up in SOEs reflect their controlling power in the country's major industrial sectors. "When the executives have sufficient power to decide the result of mega projects, they have the opportunity to accept bribes. An urgent need exists to limit the power of distributing national resources and to make decision-making processes transparent to the public," Yan said. The top anti-graft watchdog said on Thursday it had investigated 325 cases related to misuse of power by the State-owned assets supervisory body last year and provided 423 whistle blowing reports for enterprises to check regarding misconduct in their business operations. It urged the State-owned Assets Supervision and Administration Commission to play its role and investigate the whistleblowing reports.